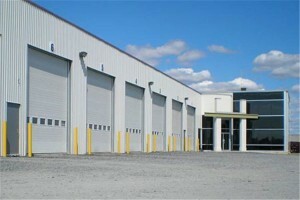 Here at Cal’s Garage Doors in Campbell, we’ve partnered with some of the most trusted and respected manufacturers in commercial garage doors, including Clopay and Amarr, to ensure our business customers throughout San Jose and the entire Bay Area have access to industry-leading designs and safety features. 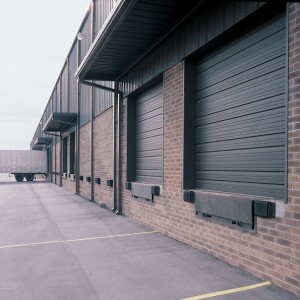 We understand your commercial garage doors can take a beating from heavy traffic and large equipment, and that’s why we ensure each garage door we offer for commercial use can withstand the demands of daily wear and tear that come along with owning a thriving business. We’ve worked hard at curating a large inventory and comprehensive selection of overhead sectional garage doors, so we’re proud to share our samples or talk to you about customizing a door to meet specific warehouse or other commercial size and shape specifications. Cal’s Garage Doors is particularly known in the area for rolling steel commercial garage doors, but no matter which style you choose, you can trust that each one is thoroughly tested for safety and performance. In fact, we guarantee you’ll find the application that perfectly suits your needs in terms of style and budget. From both insulated to non-insulated doors to fire-rated options, each garage door we sell in the greater San Jose area is engineered for excellent performance and is backed by comprehensive warranties. With full maintenance and repair services to support your purchase for the life of the garage door, there’s a reason why Cal’s Garage Doors is the go-to garage door dealer for San Jose, the Santa Clara Valley, and beyond! Look at a few of the national, commercial-grade garage door brands we carry in our showroom and sized to your custom needs. Amarr: Amarr commercial garage doors offer a complete line of garage doors and accompanying hardware to meet the demands of the modern commercial building. Amarr maintains a state-of-the-art testing and research facility, which checks all of their doors pass to ensure that they meet and exceed current industry standards. 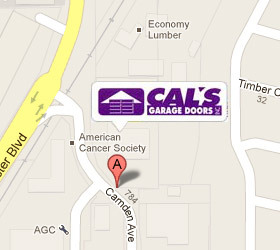 Cal’s Garage Doors is one of more than 3,000 dealers worldwide authorized to carry warrantied Amarr products. Clopay: If you’re looking for a new commercial San Jose garage door, then Clopay will have exactly what you’re looking for. Each of their garage doors has been designed with an exceptionally high R-value to ensure the safety of your building and its contents. The manufacturer is especially good at adding optional features and styles, including insulated and non-insulated sectional doors, aluminum doors, rolling steel and fire doors, and roll-up sheet doors. Carriage House: Business owners who need to balance a heavy-duty functional garage door with a good visual aesthetic for customers typically gravitate toward Carriage House garage doors. The clean, simple lines of their garage doors are available for both residential and commercial applications and include style choices designed to complement either traditional architecture or more modern structures. The look and appearance of your business is important. After all, the façade of your business is going to give a potential client one of their first impressions of your company. Commercial garage doors from Cal’s Garage Doors provide functionality and security all while adding a distinctive and appealing appearance to your business. To see examples for yourself, please visit our showroom Monday through Friday between 8:00am and 8:00pm, or on Saturday and Sunday from 9:00am to 5:00pm. You can also Contact Us today at (408) 379-5001 to see just how a new garage door can transform your business. We offer free estimates on all new installations, and we look forward to working with you. A garage door will be one of the most valuable investments that you ever make in your company, and there’s no time like the present. Let’s get started today!